The Colt Python is a .357 Magnum caliber revolver formerly manufactured by Colt's Manufacturing Company of Hartford, Connecticut. It is sometimes referred to as a "Combat Magnum". 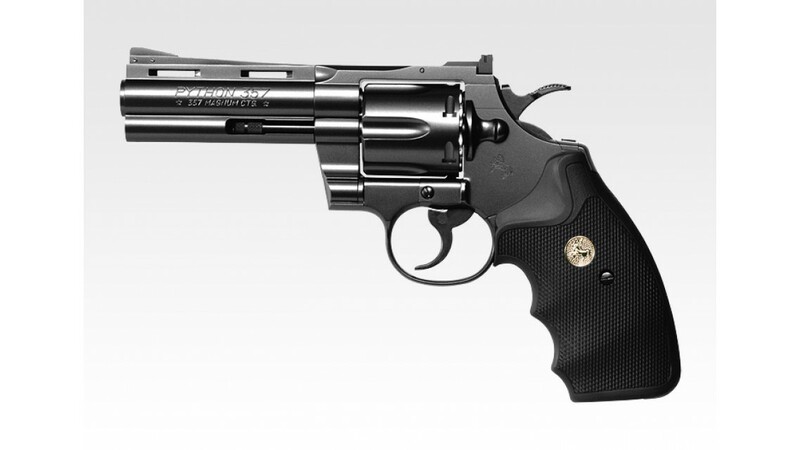 It was first introduced in 1955, the same year as Smith & Wesson's M29 .44 Magnum. The Colt Python is a double action handgun chambered for the .357 Magnum cartridge, built on Colt's large I-frame. 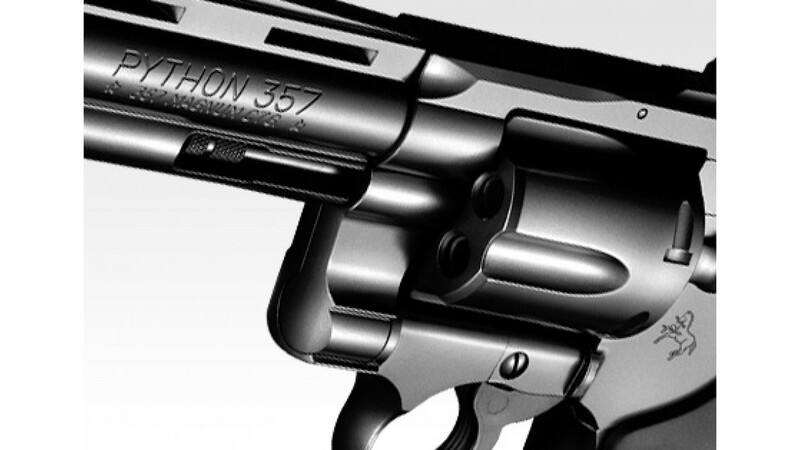 Pythons have a reputation for accuracy, smooth trigger pull, and a tight cylinder lock-up. They are similar in size and function to the Colt Trooper and Colt Lawman revolvers. 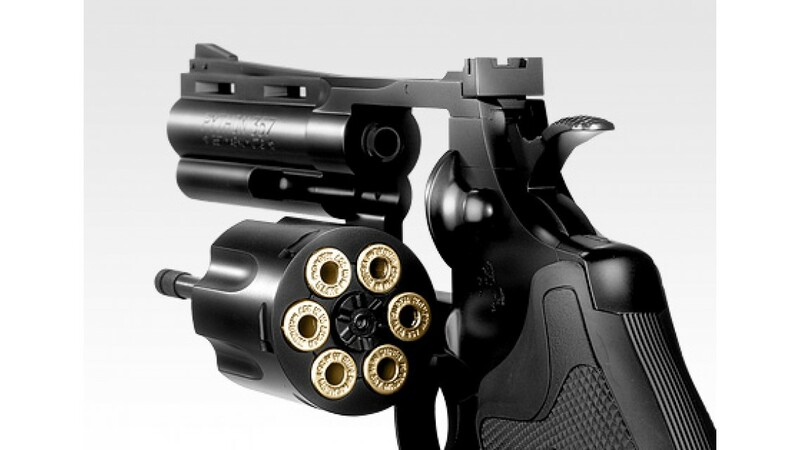 Revolver Colt Python hugely popular in Japan. 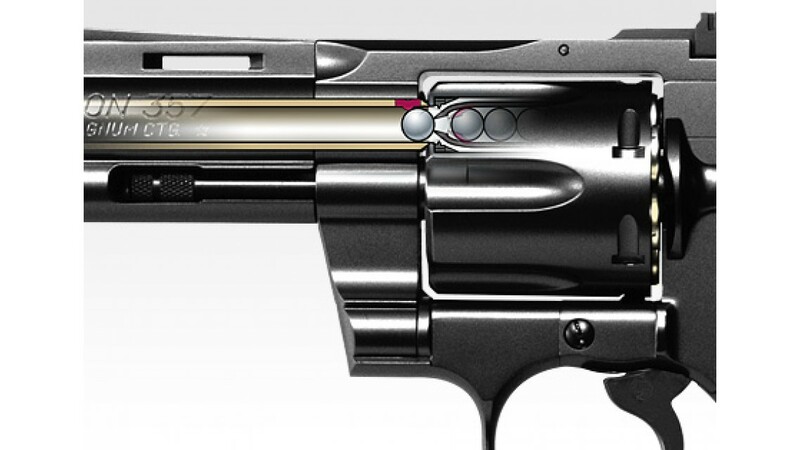 While reproduce the unique form, has been achieved Ammo Loaded of 24 shots while revolver model.